Available in a wide variety of print colors, the kit includes one (1) 1/2"x150' roll that will easily apply to any clean painted surface. 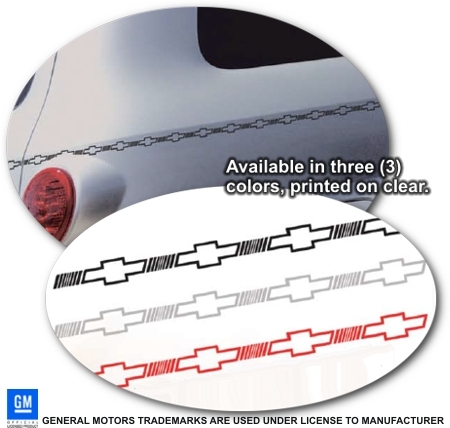 Chevrolet Bowtie pattern is easily repeatable for a continuous application. Trademark(s) of General Motors are used under license to manufacturer of this product.